Annual Report Design, Toronto. Swerve Design Group Inc.
Toronto based Swerve Design specializes in annual report design for a wide variety of clients. 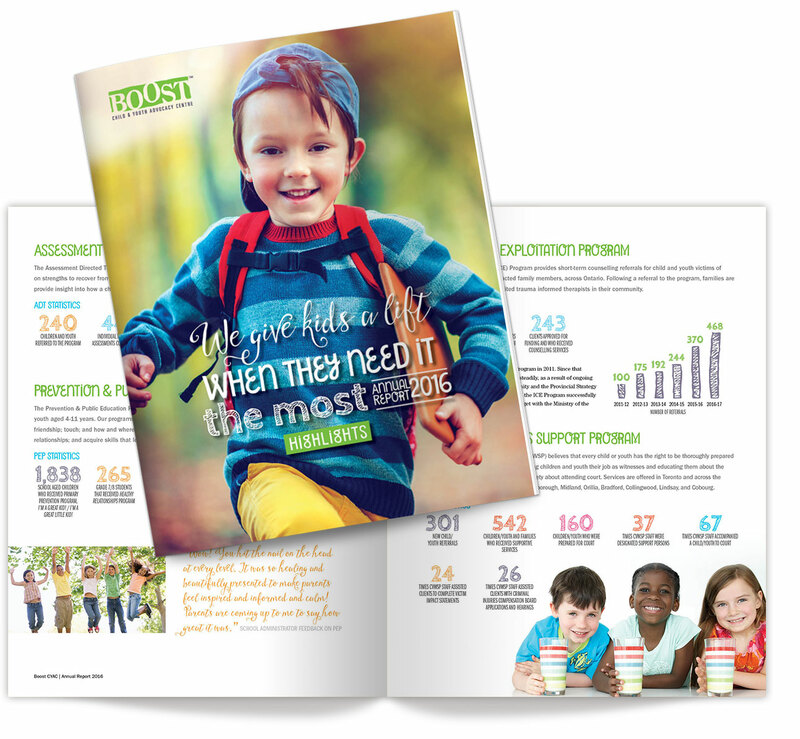 From concept and design to layout and production, Swerve can help you create an amazing report. We work with a dedicated team of writers, editors, photographers and illustrators to ensure all creative work is done to exacting standards. 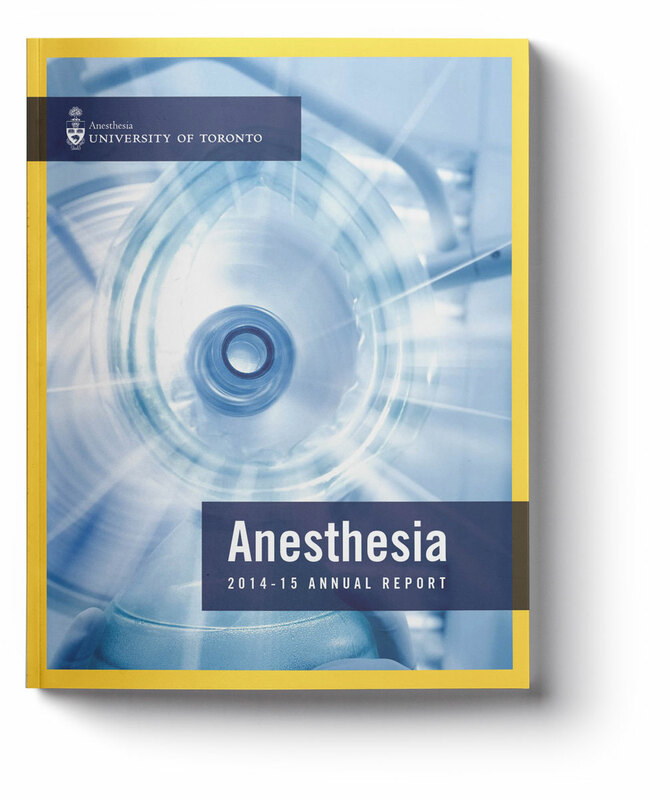 We also work with some of the best printers in Toronto to give you one stop shopping for your next annual report. 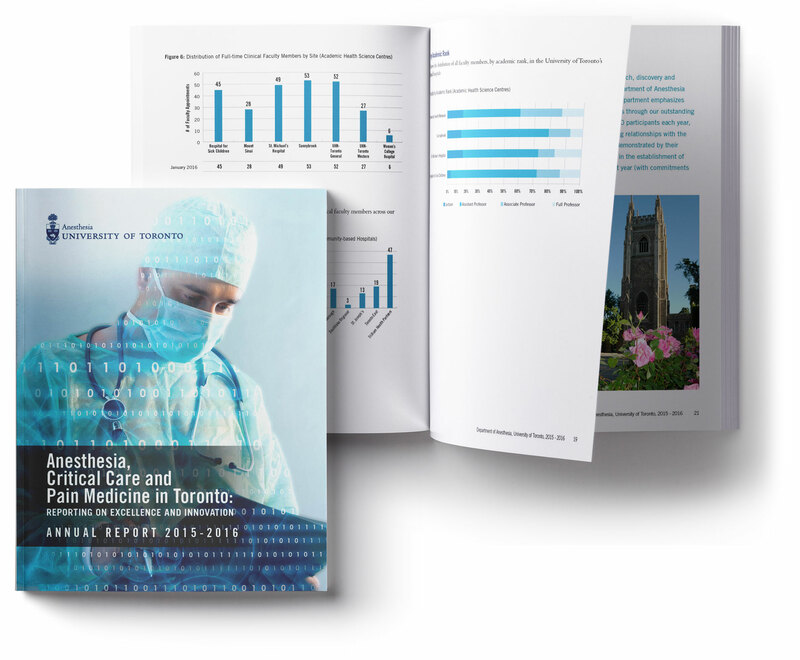 New technologies are also available for your annual report design such as website versions of the report, epubs, interactive PDFs etc. Typical time frames are two to four months for design and production. Printing is usually one to three weeks depending on the specifications. For more information and to discuss your annual report call David Johnson at 416-340-7766 ext 29, or send an email to David. 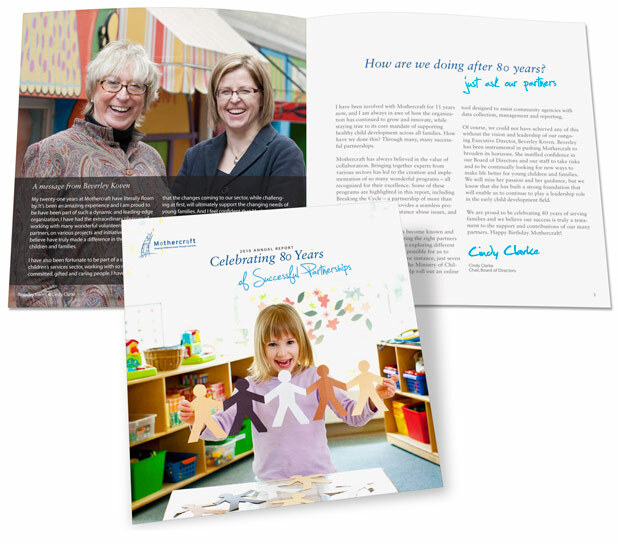 2013 Annual Report design for the Ontario College of Teachers. 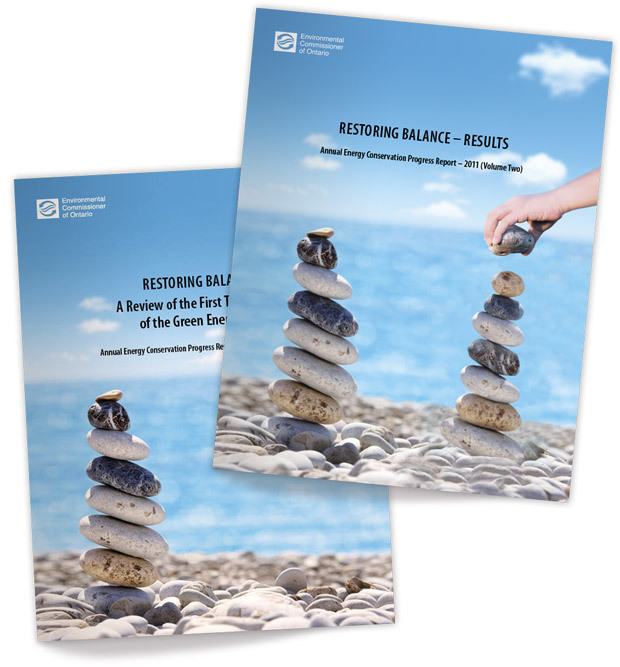 This years report was created as both a website and print book. Swerve created a custom CMS for the College to input all content to the site in both French and English. Once all the website work was completed Swerve created a print based version for output and PDF download. See the site here. 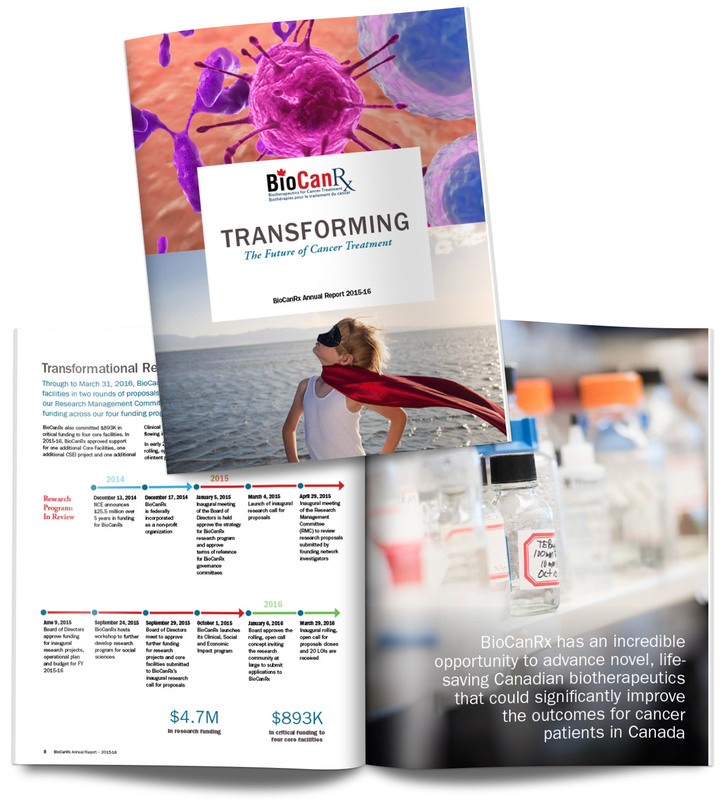 Annual report designs for BioCanRx. 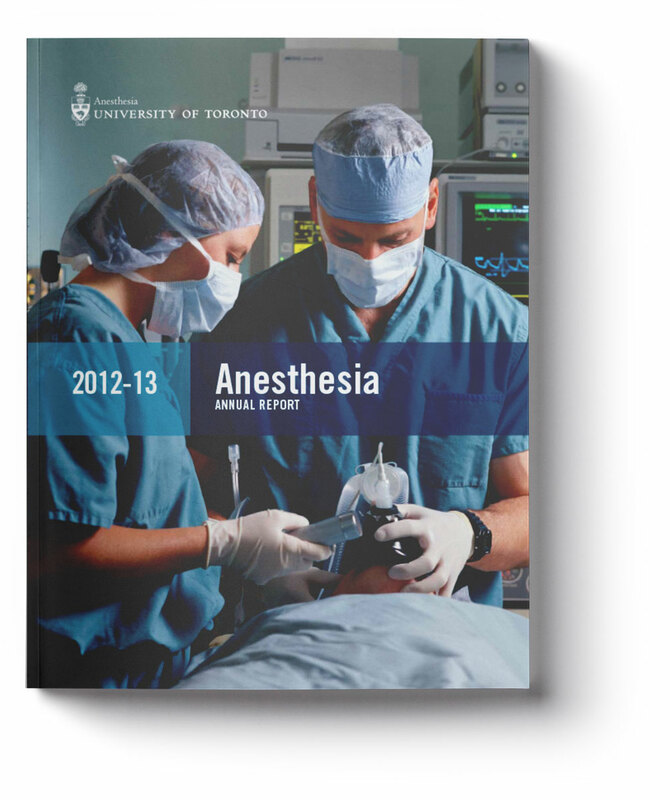 Annual Report designs for the University of Toronto’s Department of Anesthesia. 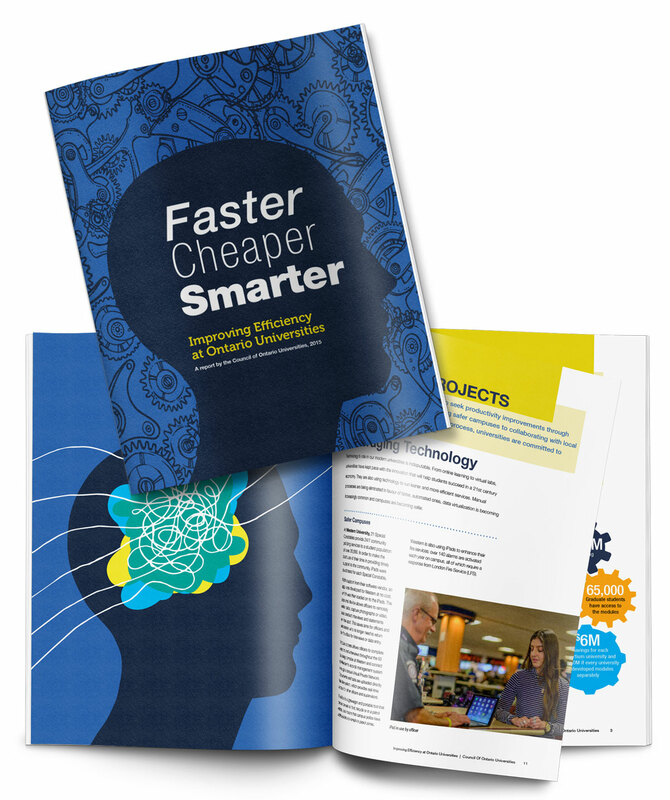 A Report design for the COU on improving efficiency. 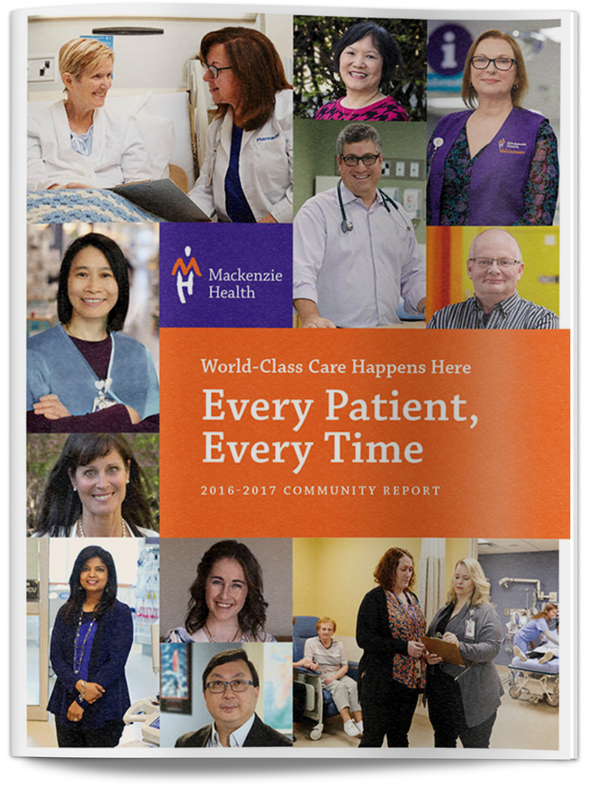 Swerve Design Group created the 2016-17 community report for Mackenzie Health. 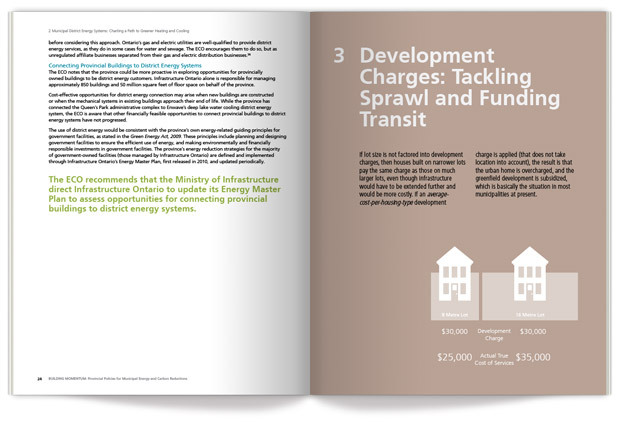 Toronto based design studio Swerve Design Group created the complete book design of the the Environmental Commissioner of Ontario’s Volume One and Two of his 2012 Annual Energy Conservation Progress Report. Swerve designed the covers, inside pages and matching epub versions in both English and French. 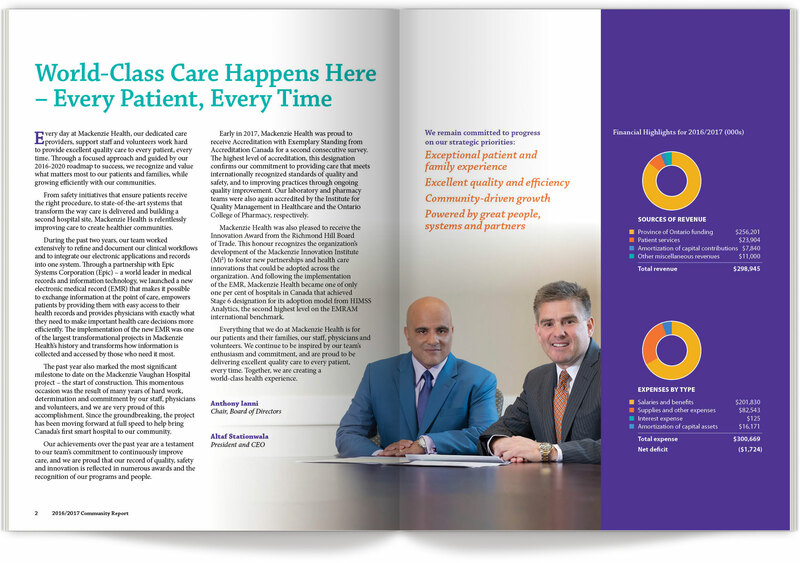 More and more annual reports are being done as stand alone websites. These sites include a full CMS for the client to upload and edit all content. 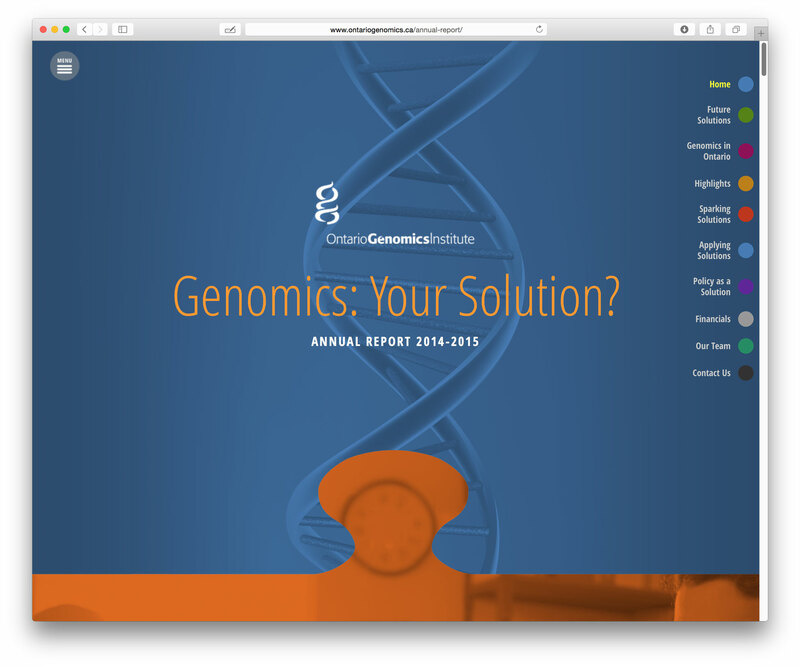 See the full Ontario Geonomics Institute annual report site here. The site features various highlights of important statistics. The site is fully responsive for easy viewing on mobile devices. A PDF of the full financial report is available for download. Large report done for the Environmental Commissioner of Ontario. 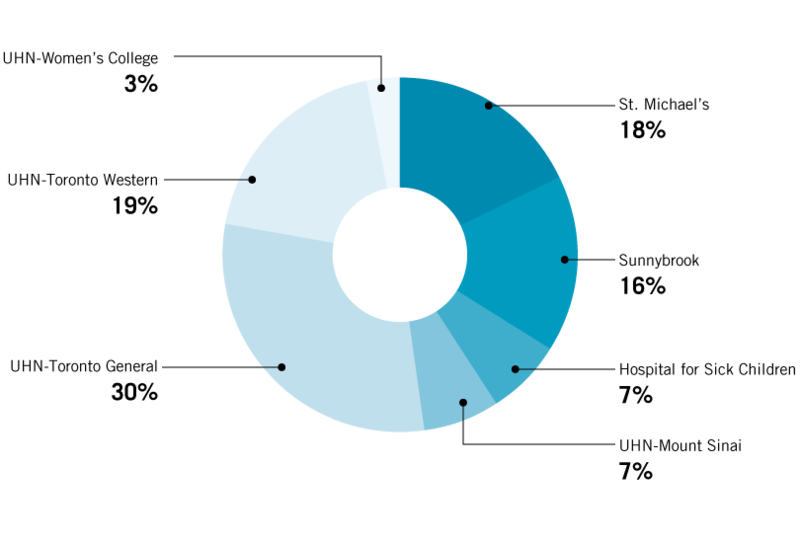 Swerve created the English and French artwork for print, PDFs and epub versions of the report. 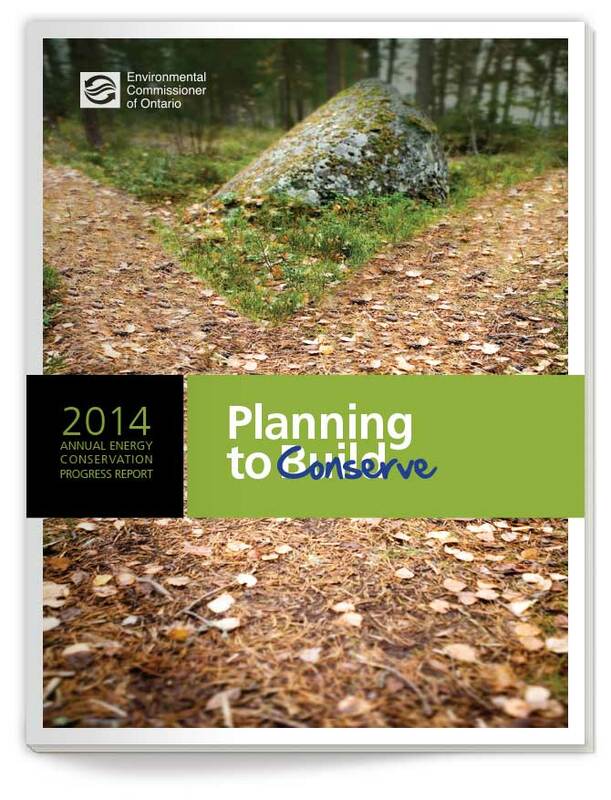 Shown is the 2014 report done for the Environmental Commissioner of Ontario. 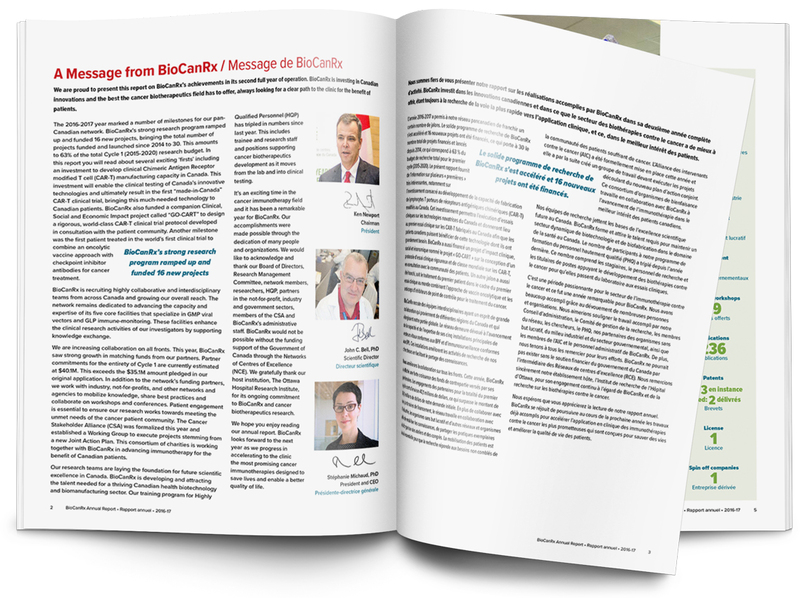 Once again Swerve created the English and French artwork for print, PDFs and epub versions of the report. 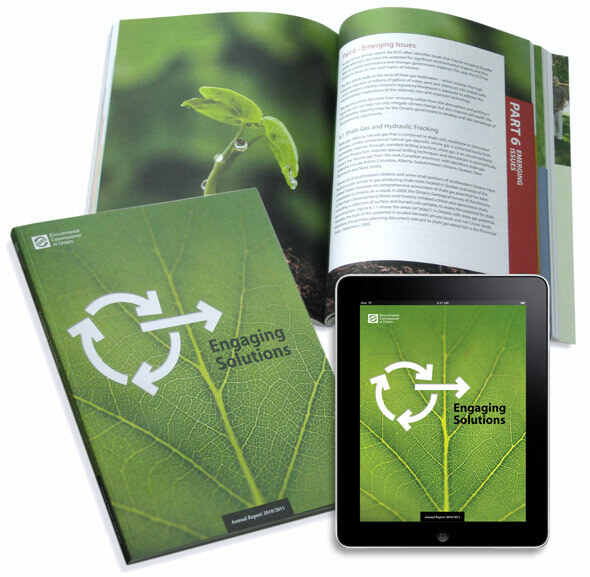 We are very proud of our design for the Ontario Environmental Commissioner. 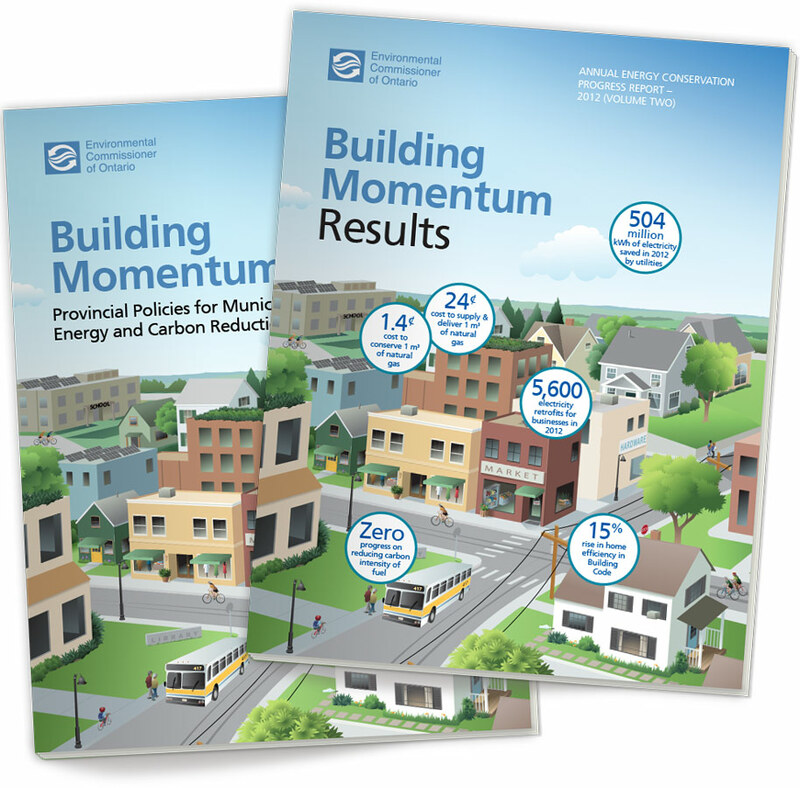 In his 2010/2011 Annual Report “Engaging Solutions”, Gord Miller says there’s no shortage of talk about the problems such as climate change, waste diversion, and the loss of biodiversity. “But when it comes to doing something” says Miller, “there doesn’t seem to be a lot actually happening. 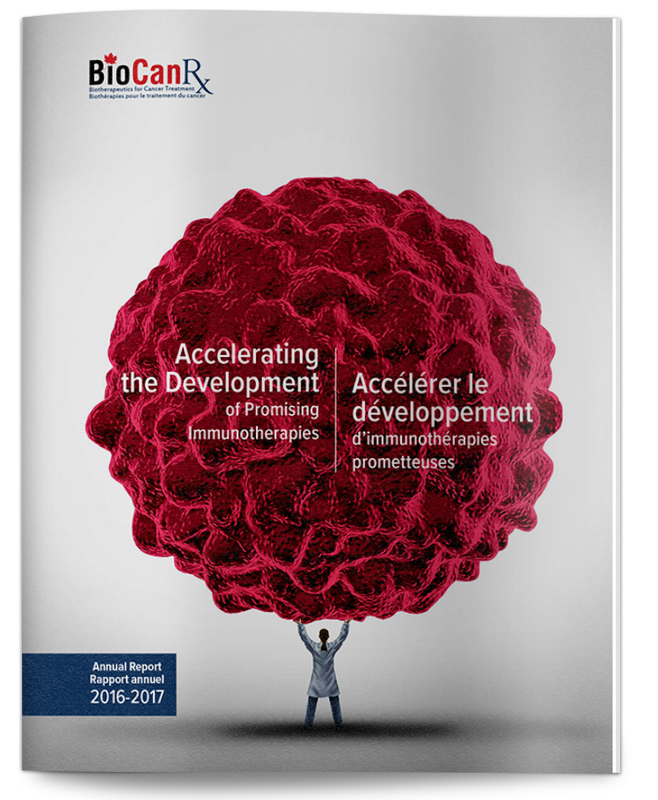 Along with the print version of the report in French and English Swerve also created the PDF and epub editions. 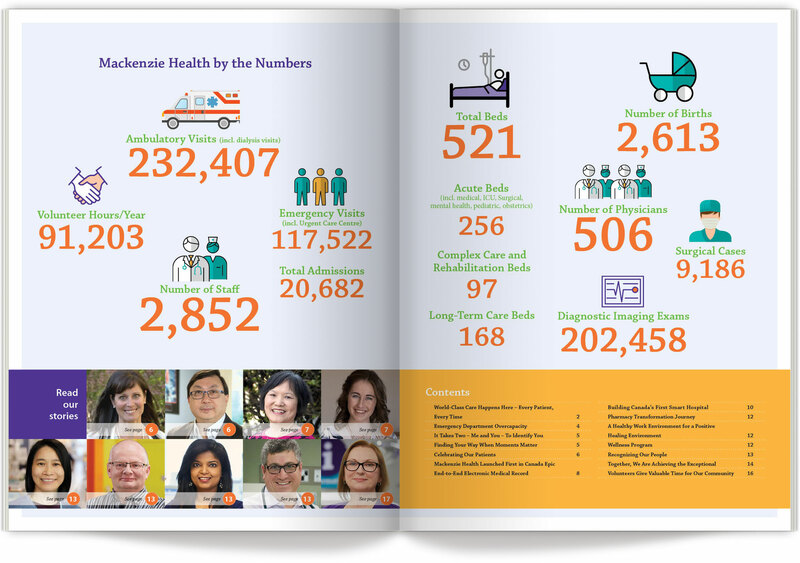 Annual Report celebrating the 80th anniversary of MotherCraft, a leader in supporting healthy child development in Ontario. Swerve designed the report, art directed the photos and oversaw the printing.